Christmas is so close, everyone! I'm already listening to the Michael Buble Christmas album practically 24/7 and the tree in my house is set up and covered in lights. It's definitely the most wonderful time of the year! This gift guide is a little late, but it's still full of some great finds and right in time for the holidays. Stocking stuffers are one of my favorite things to purchase, because not only can you use them for actually stuffing stockings, but they're the perfect little presents to give to coworkers, friends, roommates, basically everyone! 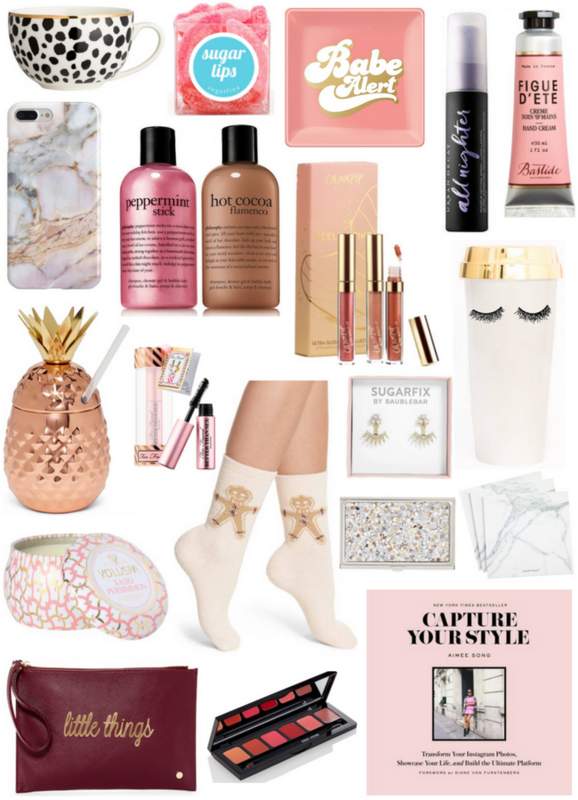 At this price point these gifts seriously work for everyone in your life, and if you have a bigger budget in mind than you can give a few different combinations of the gifts above, or just browse all of my gift options for her to find the perfect present! All of these picks are under $20, so while you're picking up a few for gifts you might as well grab one or two for yourself as well! I'm also listening to Christmas albums 24/7. You have so many great picks, the socks are so cute!